The Voluntary Core Curriculum, a new initiative under the aegis of the Program in Democracy and Citizenship, offers a coherent and linked group of courses on the Western tradition, which address a series of major questions that have traditionally been at the center of a liberal arts education. A voluntary core curriculum offers interested students guidance about a foundation for a liberal arts education. This group of courses will provide a rigorous and coherent course of study and be attractive to students who seek intellectual seriousness, the opportunity to study great works with enthusiastic teachers, the chance to participate in a vibrant intellectual community, and, at the same time, satisfy a significant portion of their General Education Requirements (GERs) under the existing Emory curriculum. At its best, a liberal arts education liberates. By studying the great works of the Western intellectual tradition and the philosophical and historical foundations of the political community in which they live, students develop the knowledge and skills to think independently and to become the knowledgeable and responsible citizens liberal democracy needs to prosper. 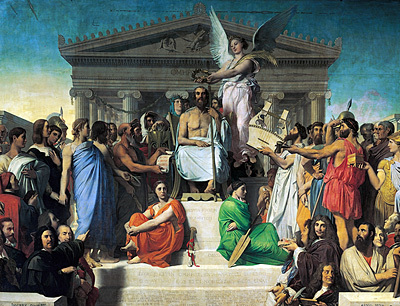 Courses focusing on the great works of the Western tradition in politics, philosophy, literature, and history teach critical thinking because the authors of these works disagree about the fundamental questions—What is the best form of government? What is a good human life? What forces move history? What defines a great work of art? Studying these works involves participating in a great conversation or debate with the writers, thinkers, and political leaders who have shaped our world.